While low-maintenance synthetic turf has grown in popularity, natural grass still holds a prominent place in American sports — and especially in high schools. When utilizing natural grass, you’ll need to frequently engage in sports field soil management and maintenance to create a safe, well-groomed playing environment for athletes at every level of competition. 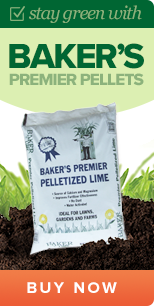 Baker Lime carries an array of limestone-based products that can play a significant role in the health of your field. Mowing: Frequent mowing keeps the grass length at an acceptable level, as longer blades of grass can cause injuries and affect the game. However, it’s also critical for encouraging recovery after a game and reminding the roots to grow. Watering: You want to avoid muddy fields, but letting them get too dry can cause a different set of problems. Plot out strategic irrigation sessions that keep your fields nourished with the moisture they need. Test soils: Healthy grass will struggle to grow in inadequate environments, which makes annual pH and nutrient testing an absolute necessity. If your pH testing detects low levels — typically anything below 6 — your grass might not be in an optimal situation for growing. Lower pH numbers indicate higher acidity, and those circumstances can eliminate access to vital nutrients. 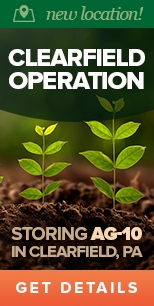 Promotion of soil microorganisms: A variety of these tiny helpers perform much better in basic soil than acidic soil. They can break down nitrogen fertilizers, releasing the beneficial element throughout the area. They also aid in the decomposition of thatch and blade clippings, which can restrict access to air, water and nutrients. Increase resistance to disease: Some turfgrass diseases can develop in areas with above-average acidity, but a higher pH encourages microbials that stave off pathogenic fungi. Just as the human body thrives on vitamins and minerals to stay healthy, grass does, too. When turfgrass has better access to nutrients, it will avoid deficiencies and have a greater immunity to illness. Snuff out weeds: Many weed species, like moss and Shepherd’s Purse, grown better in acidic soil, and they can be difficult to control. Lime will not rid you of a weed infestation, but it can be critical in preventing one. If you conduct a pH test as part of your football field soil maintenance and find it to be at unacceptably acidic levels, you can count on Baker Lime to help you out. 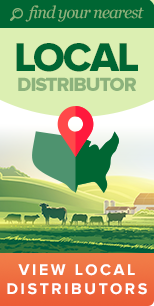 We source our limestone from a rich deposit in York, PA, and we distribute throughout the Mid-Atlantic. We process our limestone into multiple forms (pelletized, powder) and offer different compositions that will aid in your grass athletic field maintenance. Numerous clients have praised our lime’s high purity and particle fineness, and we’ve satisfied all types of industries since 1889.